May 2018 will not be the simplest period in the life of many representatives of the sign of Pisces. This month, there is a lot of work to be done, which, by the way, the Pisces themselves will come up with. From the very beginning of the month, Pisces will set themselves unrealistic goals and a lot of tasks that will not yield the expected result. You should review your plans and exclude from them tasks that can be postponed to a more favorable period. May is a wonderful time for arranging your own home. This month, you can safely start repairs, buy furniture, and change textiles. Try to avoid unnecessary fussiness in order to keep your focus on the implementation of the primary plans and dreams. In communication with others, remain yourself; do not play someone else's role, wear a mask or adjust to someone. This will take a lot of energy, which is already lacking in more important tasks. Try not to complicate life with speculation, and do not create your own problems. The first period of May 2018 will be relatively calm and harmonious. Nothing extraordinary in the life of representatives of your sign of the Zodiac will happen. You will be cheerful and in a good mood. Most of the time, Pisces will be in a circle of cheerful and optimistic people, from which they will be charged with a positive energy. The influence of the planetary aspects will exacerbate Pisces' intellectual abilities, so you will achieve excellent results in the professional sphere. Your rational ideas and proposals will be a pass to financial stability and independence. Your supervisor will be quite impressed with the executive and organized Pisces, for which he will reward you with another post or bonus. See that the quality of your work is not converted into quantity. Do not take on an unbearable burden, as you can safely abandon the tasks assigned if you feel that you are not able to fulfill them adequately and on time. It is better to do less, but so that you are admired, than more but so that you later have to redo it. 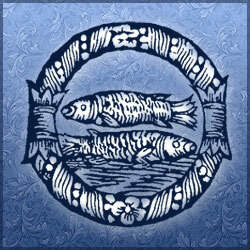 In the middle portion of May 2018, under the influence of the astrological situation, Pisces will have a great opportunity to establish relationships with relatives and friends. During this period, try to get a little distracted from work. Organize, for example, going on a picnic with close friends and family. Relax, go fishing, and stay close to nature. If there is a cottage, then spend the weekend there. After resting, you will enjoy restored strength, as well as spending a wonderful time with your family or loved one, for which you will be grateful. Do not start something new in mid-May. Better to direct energy to strengthen the positions won earlier. The single members of Pisces have every opportunity to establish long-term relationships and win the reciprocity of a person who cares about them. Relationships that began during this period have good prospects, so take them seriously. At the same time, do not give hope to those who are indifferent to you, so as not to hurt their feelings. At the end of May 2018, influenced by aspects of the planets, Pisces will be very successful in any endeavor. If something was planned, then now is the time to begin implementation. Try, in this period, to withdraw a certain benefit for yourself from each situation, from each circumstance. Remember that even a mistake made is a gift from above. It is an excellent lesson, an invaluable experience that makes us a little closer to our cherished dream. At work, you should be more compliant and obedient; do not take the initiative and try to stand out from the crowd. Cooperative work will yield much better results than single projects. In relationships, try not to impose your own morals and do not annoy your chosen one with interrogations and last-minute calls. Do not control, but instead trust your partner. This will only strengthen their feelings for you. And, what could be better than respect and trust in a relationship?